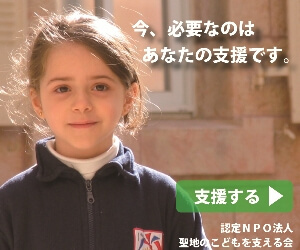 The purpose of the corporation is to contribute to peace over the Middle Eastern region particularly in Israel and Palestine, through the efforts of developing abilities of people on the ground to build their society with genuine justice, freedom and love, and of financially supporting the educational opportunity of children regardless of race or religion. The corporation also organizes seminars in order to share with and advocate Japanese citizens the real voices and situations in Middle East, and directs international exchange programs for the understanding and establishing relationships among Israeli, Palestinian, and Japanese youth. The organization locates its office at 5-8-7-502, Higashi-Nakano, Nakano Ward, Tokyo, Japan.